Go on a different kind of safari with your family or as a group: this circular activity involves walking for 1 1/2 hours and travelling on five different modes of transport. The longest aerrial cableway in the Obwalden-Nidwalden region takes you from Beckenried to Klewenalp. Walk from Klewenalp to Stockhütte through lush meadows and fairytale fir forests in approx. 1 1/2 hours. 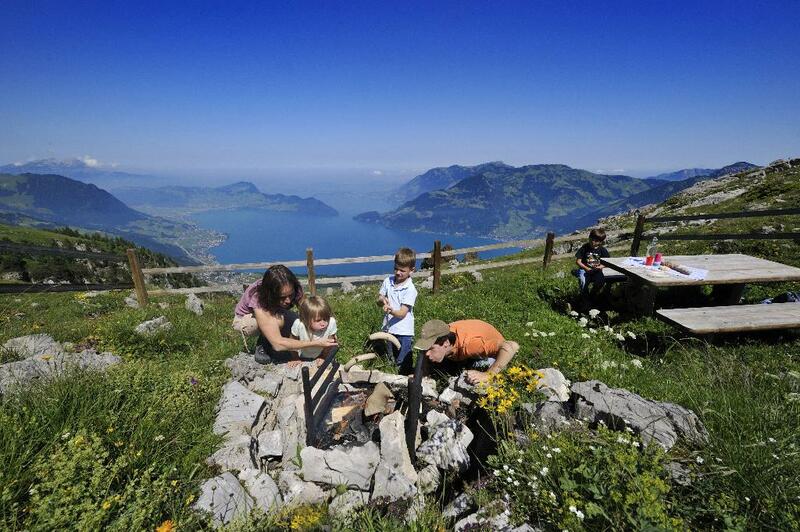 Relax in the 6-person cable car between Stockhütte and Emmetten and enjoy wonderful views of Lake Lucerne. The PostBus in Emmetten then takes you to Seelisberg. 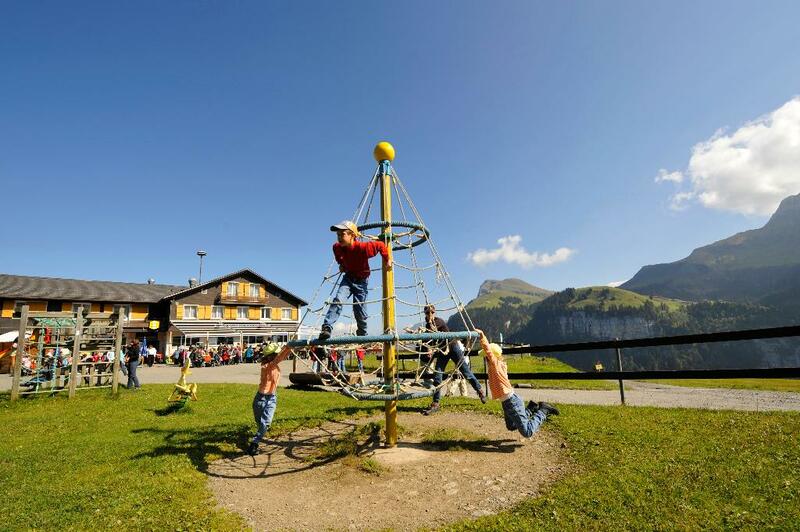 You can spice up your visit to Seelisberg with a swim in the little Seelisberg lake or a visit to the children's playground. You then take a seat in the funicular train down to Treib, which is followed by a boat trip back to Beckenried, during which you could have a coffee or a glass of wine. On arrival in Beckenried, you could treat yourself to some more entertainment - a game of mini-golf on the 16-hole course.